In human life there are always events that cause material damage and bear true threat. That why, long before it raises an important task to find ways to counter their influence. Insurance is one of the oldest categories of public relations. After all, it is an effective form of protection against the risks that threaten human life, health and disability of one of the most important tools to solve social problems in the world. Today, the question that concerning the compensation for moral damage through insurance, causing much controversy. Current legislation pecuniary damage reveals how certain suffering, physical or moral, caused by the actions (or inaction) that are intangible benefits infringe on a citizen belonging to it from birth or by law (life, dignity, health, human reputation, personal and family secret, privacy, etc. ), or actions that violate the personal rights of the citizen – and non-proprietary. For example, moral damage may be the internal feelings that are caused by the loss of relatives, the inability to continue in certain aspects of their life, such as public, disclosure of family or medical confidentiality, when a person loses his job, when spread some false information, defaming person directly her dignity and reputation, deprivation or limitation of any rights a while, physical damage related to the injury caused, or other health problems that can be caused by various diseases, transferred to the result of mental suffering, and others. In our country, unfortunately, poorly developed system of insurance. People do not have the habit to insure their lives and stuff. Do this only if the case so requires. We must borrow the experience of the United States, for example, the experience of countries that are leading in the global insurance market. After all, life is full of surprises, not always bring joy. And we can not be protected from unpleasant surprises, but can be protected from their effects. Insurance is very important for protecting the interests of citizens. After all, if life is insured, it is calm and confident in the future. Unpleasant and accidents do not scare anymore. Human dont care for their lives and stuff. When Ukraine gained its independence, the industry was left unattended officials and businessmen. Although today the state in this question is much larger, but, unfortunately, these measures are not enough. Its need more decisive conditions in order to create better conditions for the development of life insurance and stuff in Ukraine. There are a number of negative factors that hinder the development of the insurance industry today. They include: imperfect protection of the rights of people who use insurance services; a small client base of insurers; poorly developed life insurance, private pension provision. There is not enough reliable financial instruments for investment. There is a large number of insurance companies with low capitalization. The negative impact is also low staffing insurance market, and public ignorance on the subject of insurance culture. Of course we cant keep industry in this situation. For its progressive development in our country it’s necessary to make some changes. The first thing you need to get better the welfare of citizens. Develop already existing, classic types of personal insurance, learn new and better quality services. It is necessary to increase transparency in the insurance market, promote the creation of a single database. Also increase the financial stability of insurance companies, their solvency and competitiveness. 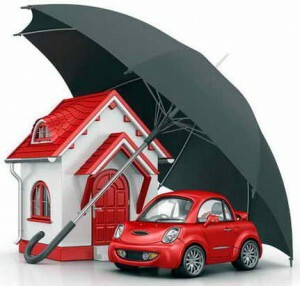 Particular attention is paid to the betterment of the insurance business in different regions. It is necessary to develop the quality of training in the insurance business, implement and practice in the insurance companies using the latest Internet technologies. And one more, very important condition for the development of insurance in our country is to increase insurance culture of the population and its level of confidence in companies, that involved in insurance. Necessity for implementation of aspects of conventional examples can prove unfortunate and unpredictable cases, that once again show the importance of life insurance and stuff. Not so long ago in the Carpathian mountains flood washed away the building because the rivers were pollutedby. And there is no money to restore roads, fortifications and compensation for the victims families – which is about two billion hryvnia. This is one of the cases, which makes think about the fact that insurance – it is really a necessary thing. You also need to be cautious while driving, follow the recommended speed limits to avoid a car accident – and do not forget the accident insurance. And how many people are deprived of home fires caused by various factors. Electrical shock, accidents, and even banal fall can cause significant harm to humans. We can cite many different examples of such situations. None of us can not know what will happen tomorrow. Therefore, you should insure your lives and stuff and to be sure of the future, whatever happens and whatever situation you have to be. In this situation, the damage without any problems will be compensated, and you can return to normal life, because insurance is the key to maintaining a high level of welfare. Analyzing the life insurance and stuff, and its role in modern people life, we can say that there are a number of negative factors that hinder the development of the insurance sector. That why it is necessary to implement those determined conditions, under which the industry will gradually develop in our country. And then people can be calm for their lives and for the safety their stuff in any situation. Why do people choose to be homeless and do they for real? This entry was posted in Social and tagged insurance, moral on 10/03/2017 by Mary.